From the Blogger: "Sew your new favorite dress with this DIY Dolman Knit Dress Tutorial! It will be the perfect combination between comfortable and stylish that you'll find yourself wearing again and again! Using a basic dolman top pattern, these simple steps will guide you through making your dress in no time. 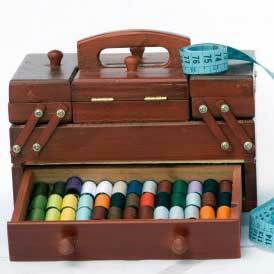 Perfect for beginners or more experienced sewists! Works well with either a serger or a home sewing machine. Either way, you'll be confident in your awesome dress making skills!" This dress is so flattering and adorable. I love the pastel floral print. I can definitely see myself wearing this on a hot summer day! Not a free pattern, as you have to pay for part of it, but who cares? This is a dress I would wear all the time, and it looks simple enough for a new seamster to make. I think I'm going try it! So pretty, feminine and flattering. And the pattern is very well detailed and oh so simple to follow so it really is easy to make. Having found a lovely piece of fabric in my stash I have already cut my pieces all ready to sew tomorrow and now I am thinking of making a second one using another piece of fabric that is also in that substantial collection that I have. OMG! I love, love, LOVE the style and the pattern of this dress! I can't wait to sew it myself - looks easy enough!